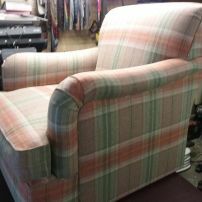 commented on "Arm Chairs Recovered in Tartan Check"
Sick of the same things over and over again in the shops. Why not create your very own style? Select from a large variety of styles and fabrics! So rewarding to see your own design come to life! So many options available! We can custom make or recover.